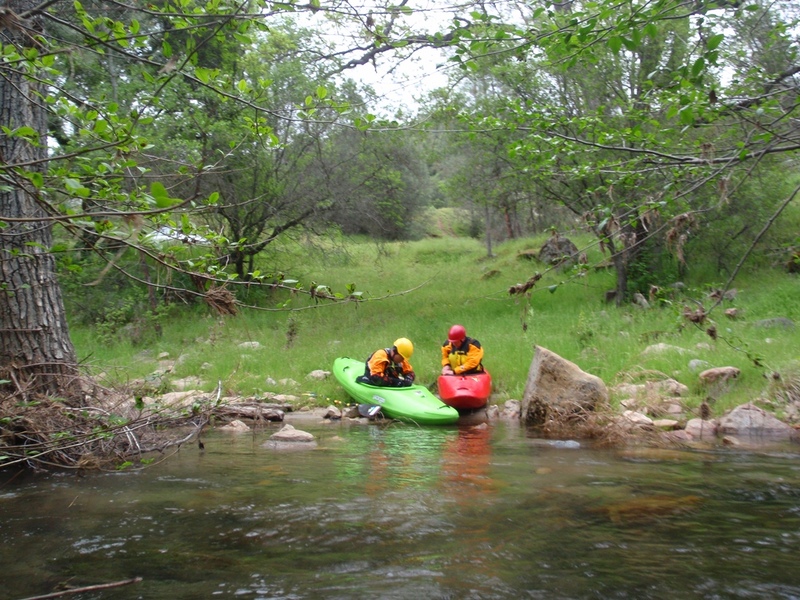 Put-in: Willow Creek below Redinger Reservoir or just below the dam on the river itself. Take-out: Kerckhoff Reservoir, Powerhouse Rd. 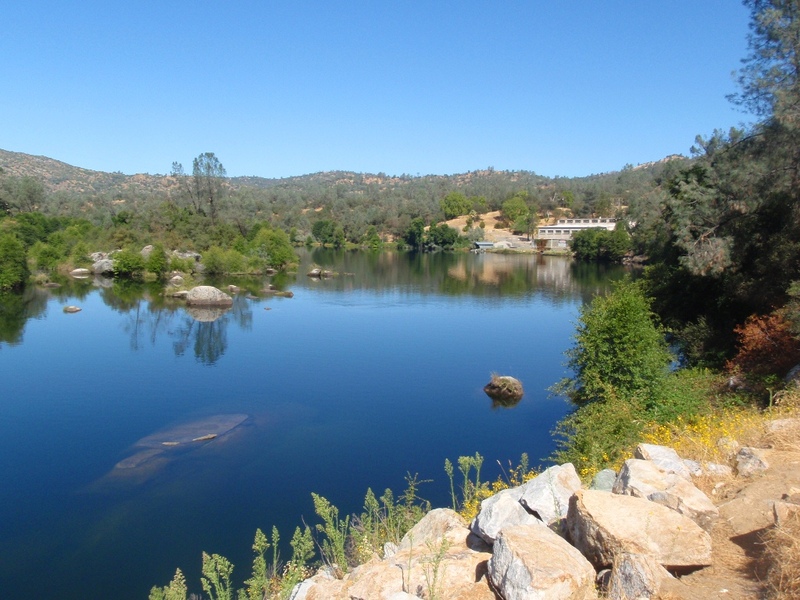 Last fall, as everything in the state was drying up and options were dwindling, the powerhouse below Redinger Lake needed maintenance and therefore water was flowing down the Horseshoe Bend section of the San Joaquin between Redinger Reservoir and Kerckhoff Reservoir. 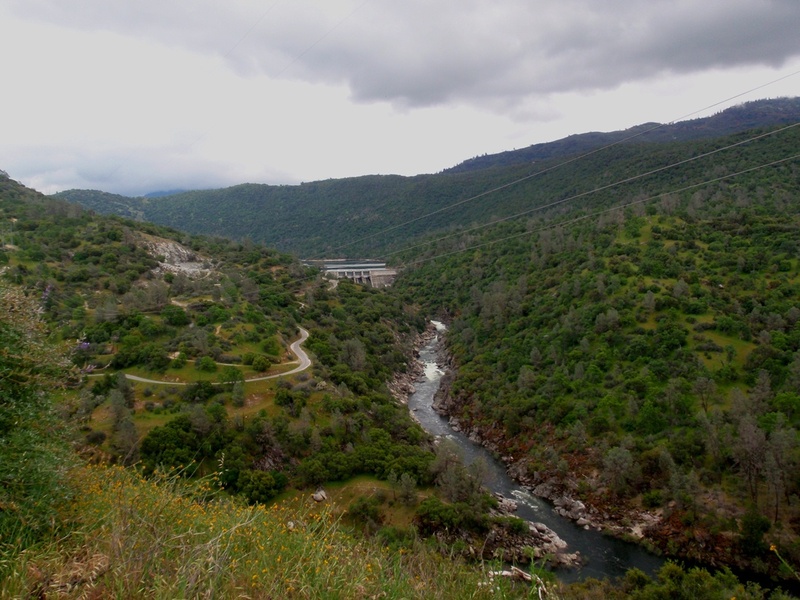 Since the San Joaquin is a four hour drive from my house, and since most of the san Joaquin drainage is class IV-V or above, I have never made my way to the drainage that represents the second largest river system in California behind only the Sacramento. 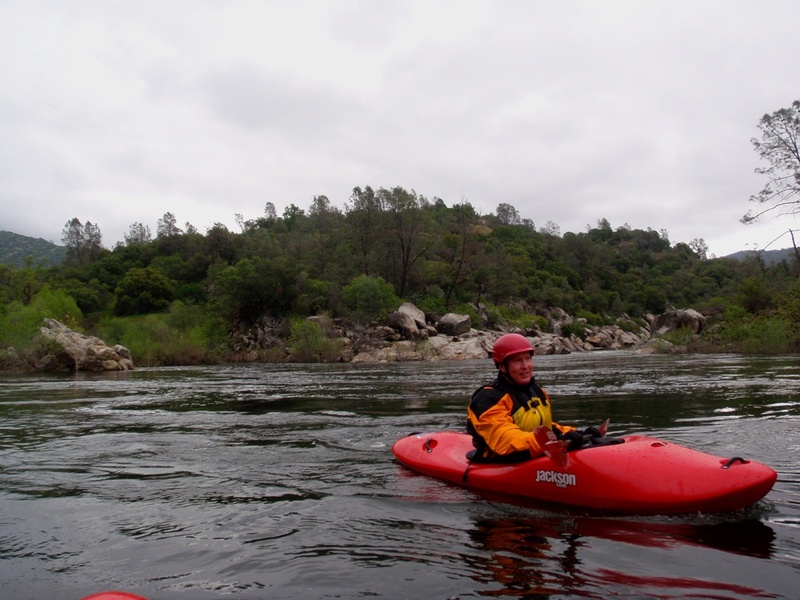 But with this offseason opportunity, I couldn’t resist and arranged to meet up with several Fresno boaters to his this section of river. 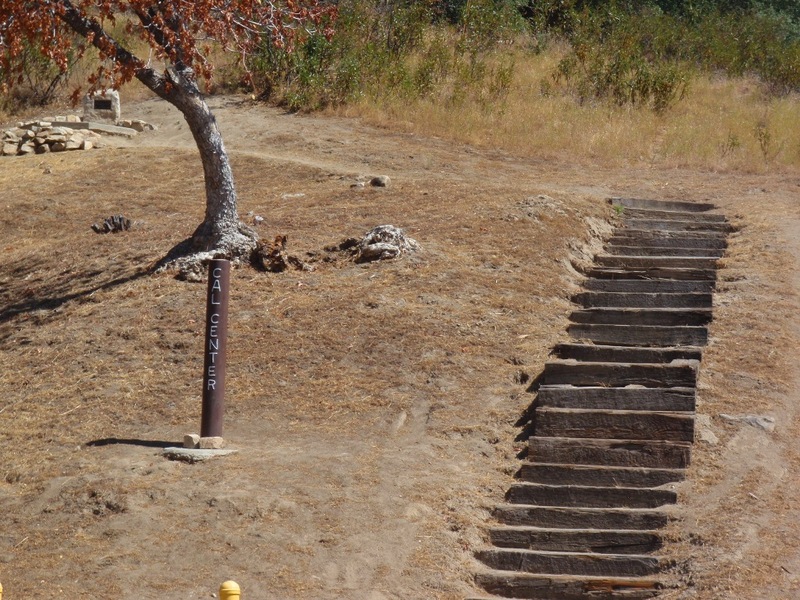 The word was, that the maintenance would take 2 more weeks to complete and therefore the release of water would hold solid for the approaching weekend. 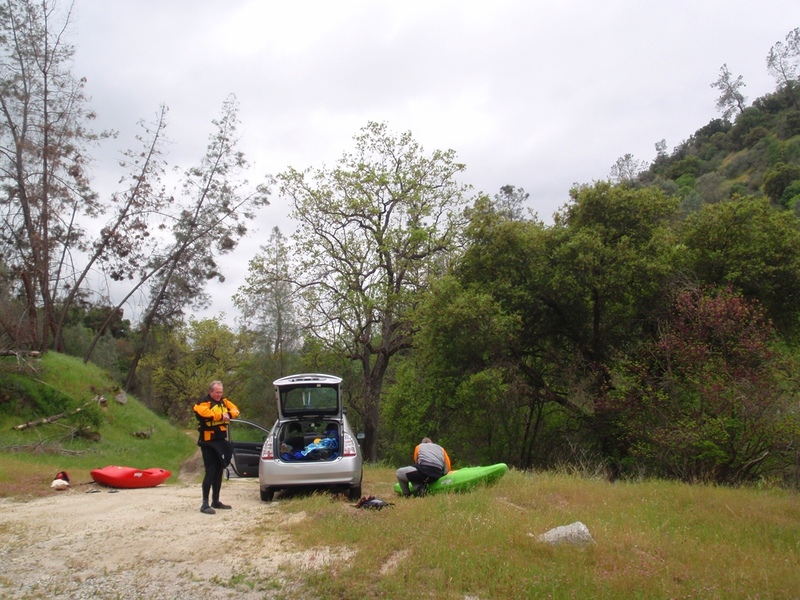 Morning off, everything seemed good to go, flow was in the river, and so we began our drive. Arriving at take-out, the rule that those who have the shortest drive always are late applied as Rob (from the Bay) and us from Sacramento arrive on time and those that were driving from Fresno ended up an hour late (it is only a 45 minute drive away). Once the group was together, we began the drive up to put-in. As we come around the bend you can see the first few rapids in the gorge that are the hardest on the run and therefore are often put-in below. This day though, I had opted to bring my creekboat in hopes of putting in below the dam and getting the first few drops. So, as we pass the lower put-in we drive 100 yards further up the road to the dam itself only to find no water coming over the dam, and literally can see the last of the water rushing downriver along with its roar and as the river draws silent, we realize that we the water just turned off and we are now looking at an empty river. After a few hours of looking for a dam operator we find out that indeed, they fixed the powerhouse ahead of schedule and no, they would not release a little more water for us. We did however take a wrong turn though and stumbled upon the geometric center of California which was an interesting surprise. Flash forward 8 months and this time the river was flowing due to spring snow melt. 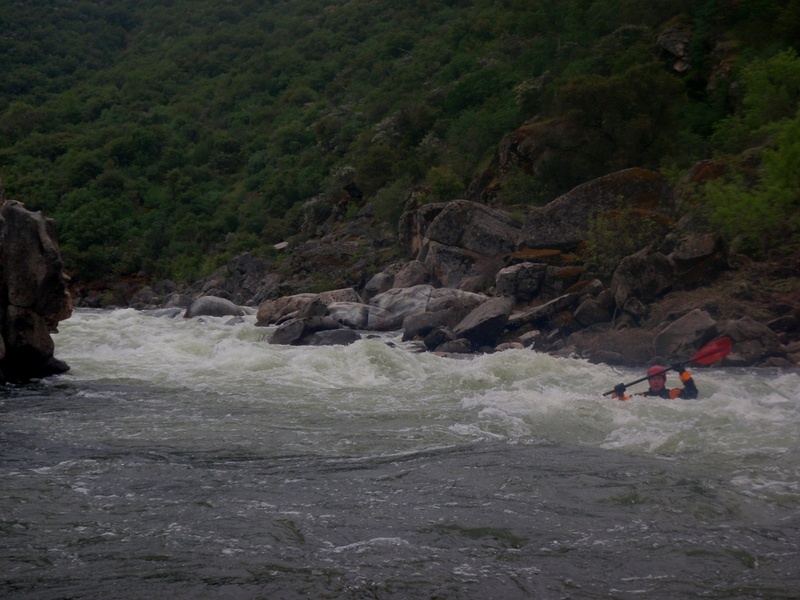 Regardless, this time around I didn’t want to waste time with looking at, scouting, and running the first gorge rapids. 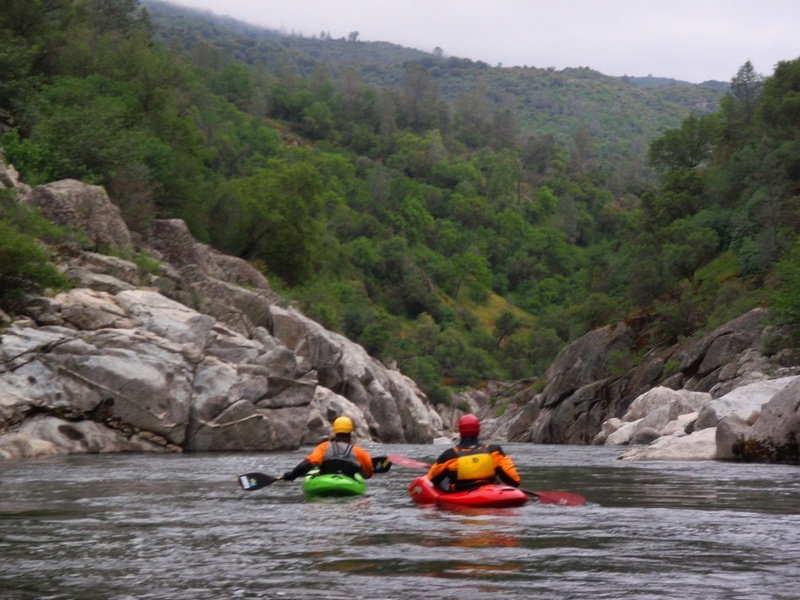 I just wanted to get on the river ASAP so we used the lower put-in at a tributary that comes in just below the gorge rapids in the first quarter mile. Below we found a fun run. It is an excellent class IV step up run from class III. I would put it on par with the Miracle to Democrat run on the Kern. 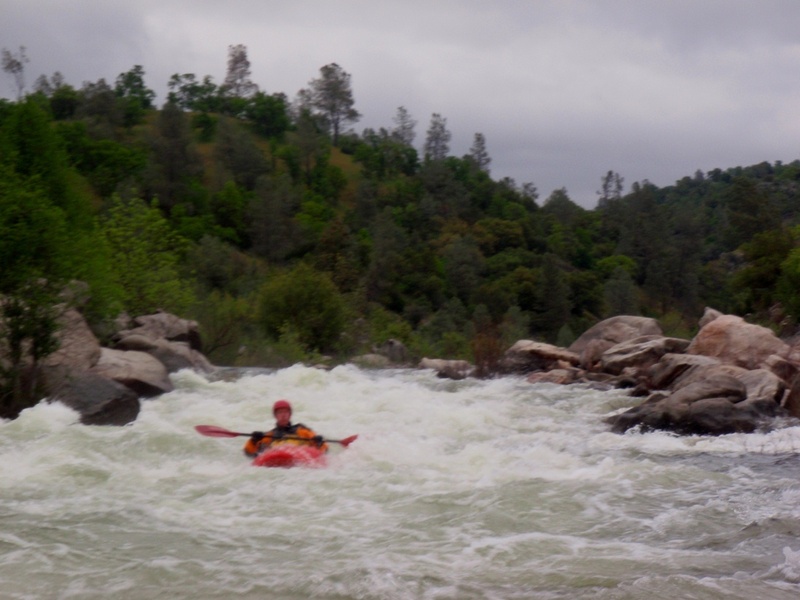 There are 6 or 7 fun rapids, flat water between the rapids for rescue, great scenery, and one rapid that most who do the run will likely walk. Furthermore, it has a large range of boatable flows. 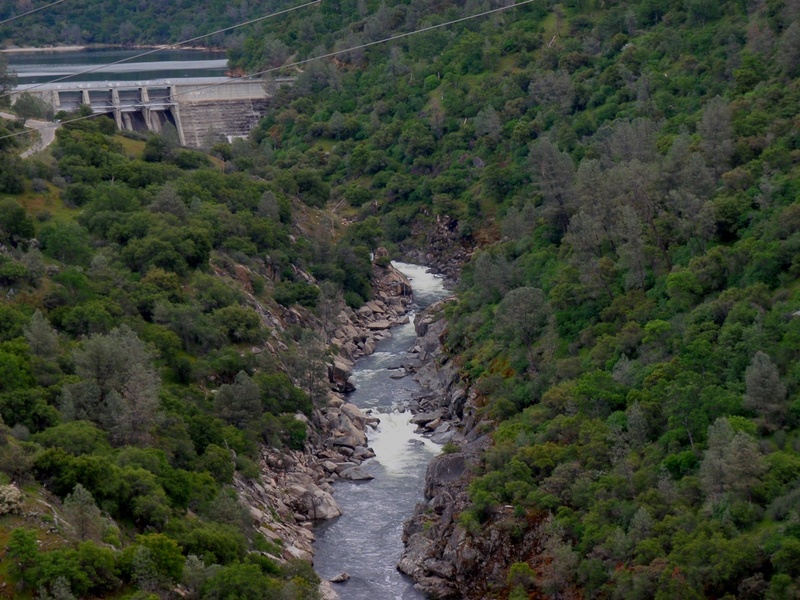 I know people regularly look to this run when flows go Richter though it is also supposedly completely manageable class IV at flows up to 6,000 cfs. 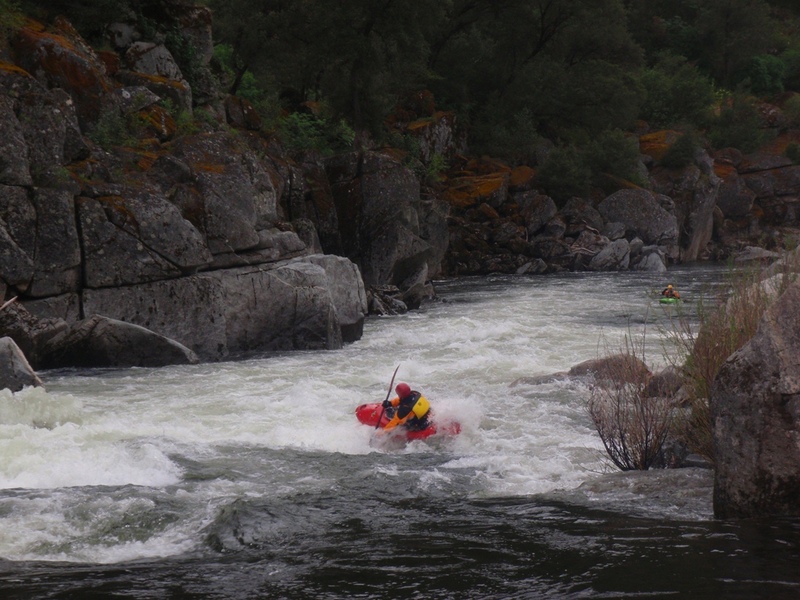 Our day we had 2,050 cfs and though this was a great flow. It didn’t feel pushy at all, the holes were all pretty forgiving, and it never felt rocky. 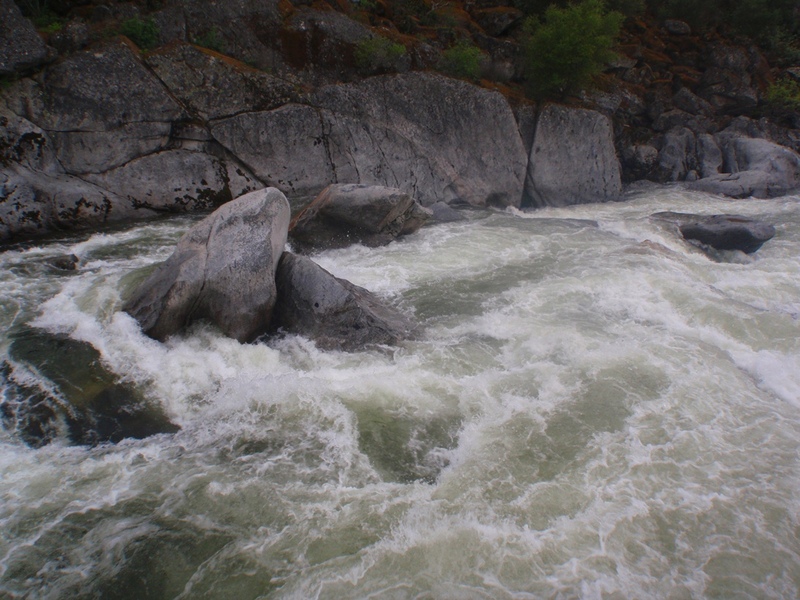 I would imagine at 3,000 cfs it starts to get a little pushier and the holes a little stompier. 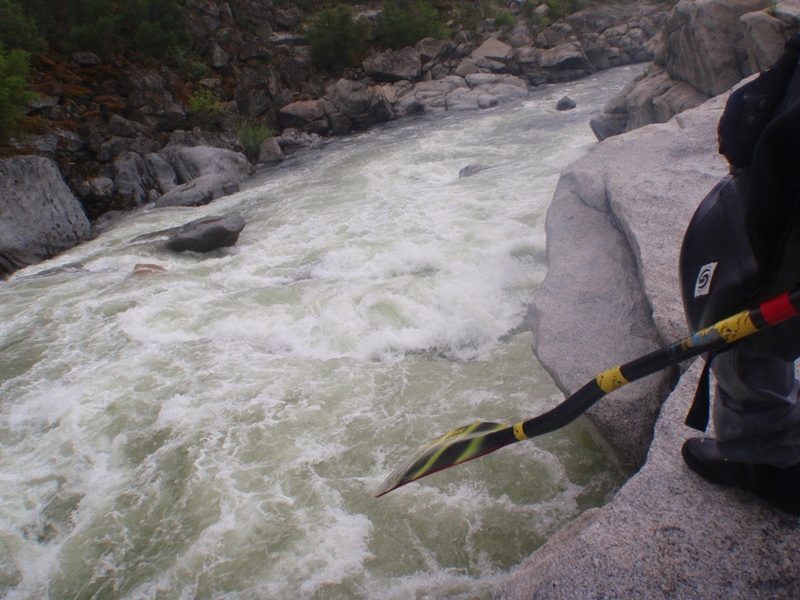 Likewise, I have also seen pictures of the run at 1,000 cfs and seen that some rapids end up requiring portages due to the river going subterranean. 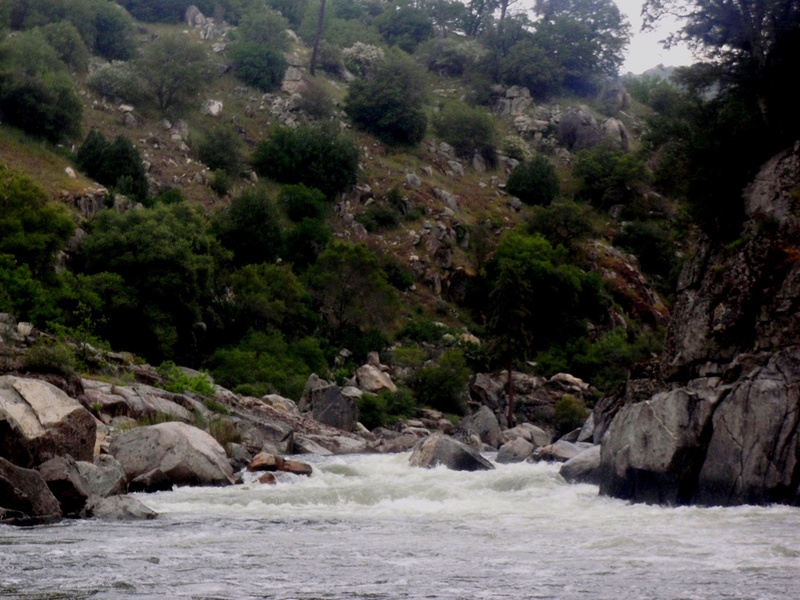 So… in this river’s case, more is better. 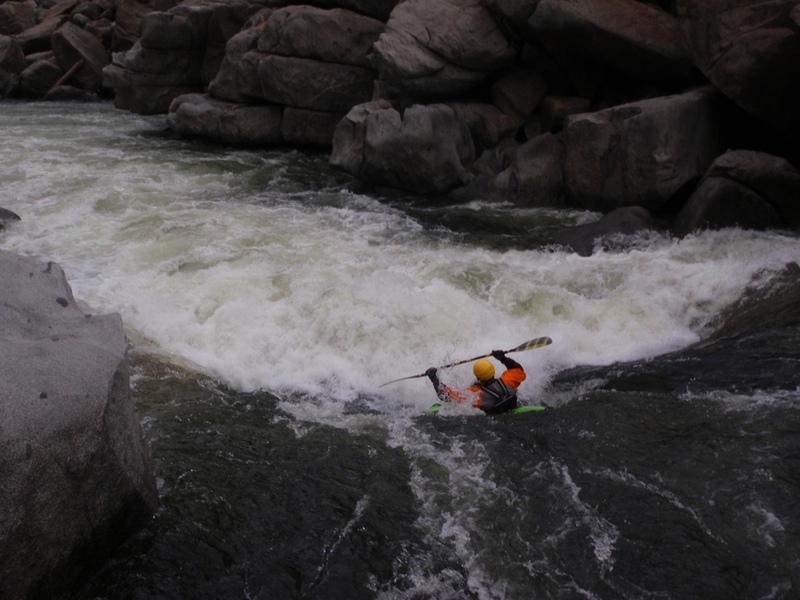 Willow Creek has one good rapid amid old bridge supports and one sketchy willow garden that we charged into the depths of. 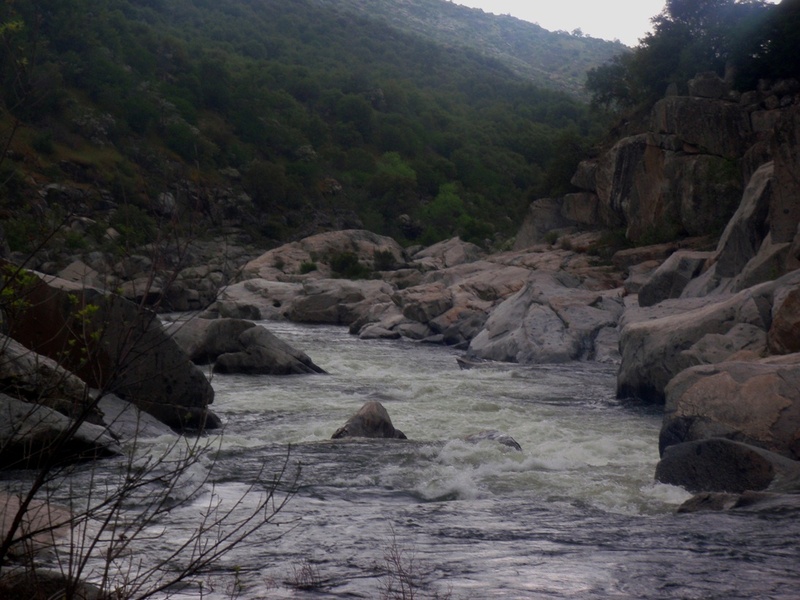 Just after the willow garden you exit into the full volume of the San Joaquin. If you decided to put-in at the base of the dam instead, you will have two good sized drops (from what I have read and seen at a distance). Study Rapid (III). We ran down the right side. The middle looks to have a big hole. 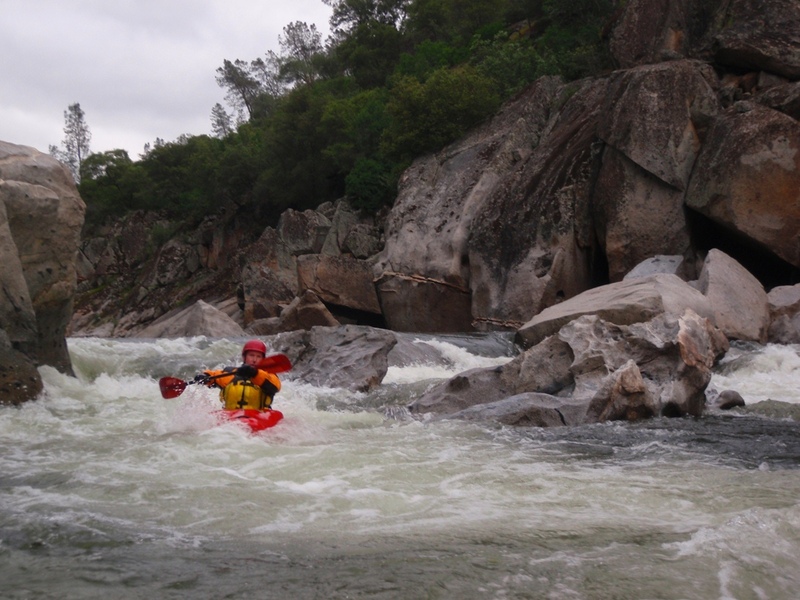 At low flows, this rapid is portaged due to the water going underground. Two Holes Hiding (III+ to IV). 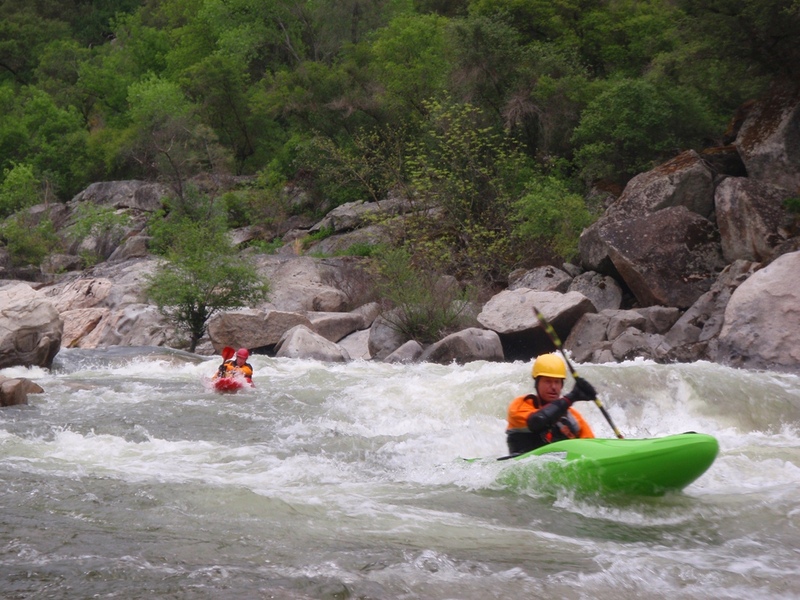 At our flows, the rapid was not hard. You could enter right and stay right, or enter left and ferry right to avoid the large hole on the left at the bottom. Long and Shallow (IV). 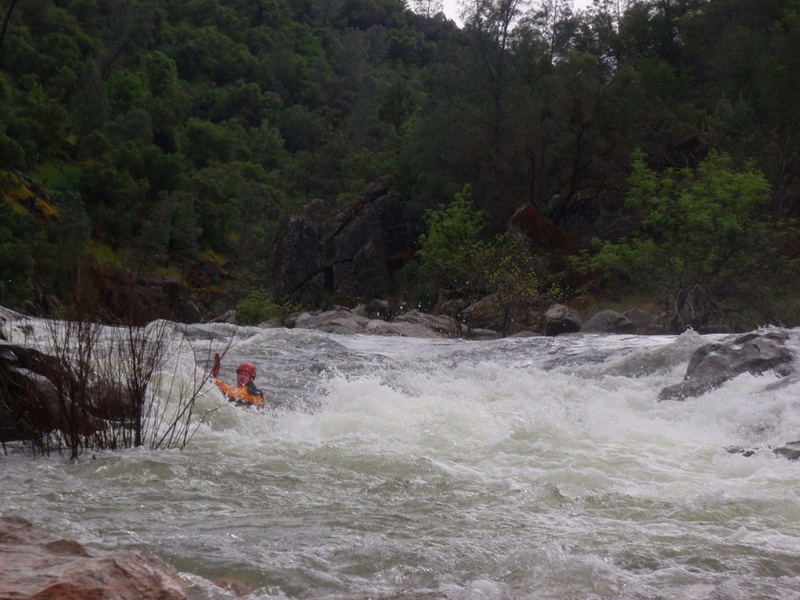 Other than Big Dog, I thought this rapid was the most hard. We drove left and stayed left. 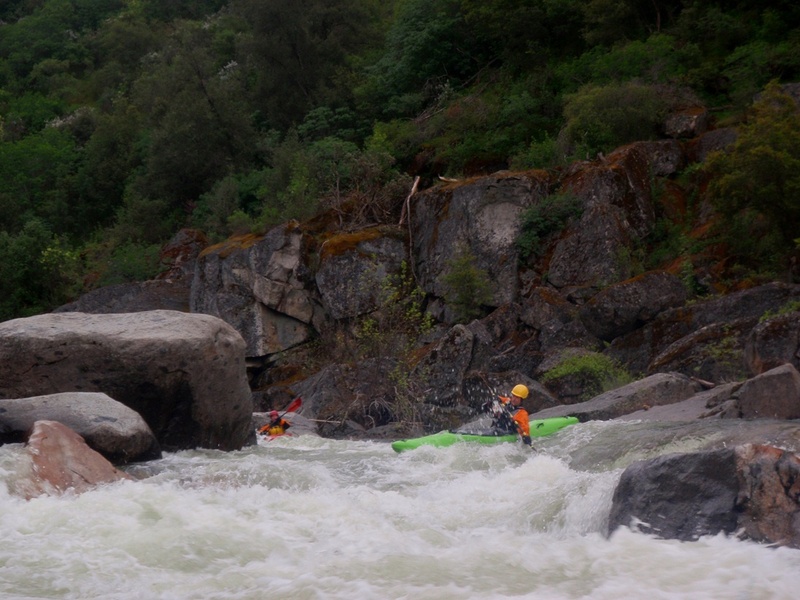 A few small ledges and a weird cross current was better than larger holes and shallower rocks seen in the middle. Four Holes (IV). A nice long multi move rapid. At lower none of the holes were too bad. Enter right and move left behind the top rock/hole. Then we punched the last two holes on the left. One person got a brief surf in the final hole but it surfed him out quickly. Scout right. Around the corner 100 yards is the crux of the run. Little Dog (IV). 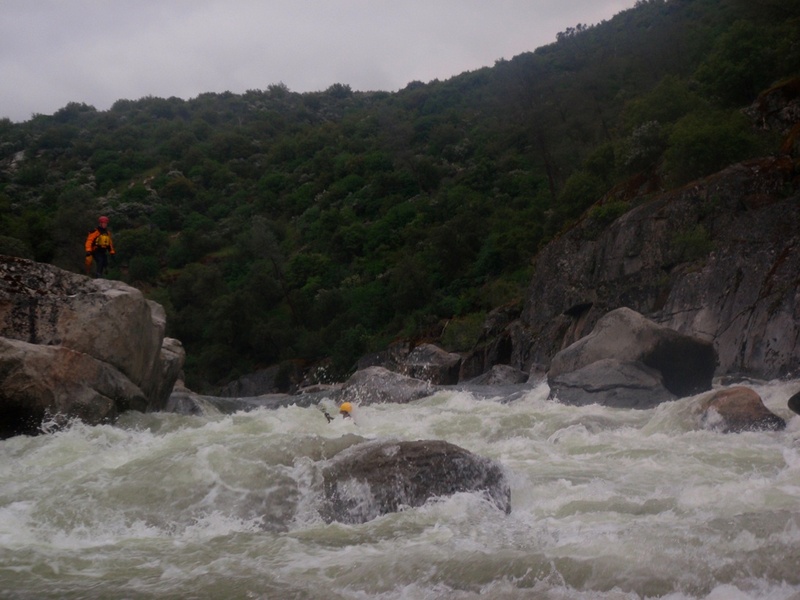 A two part rapid, most of its difficulty is due to the consequences of a swim so close to Big Dog just downstream 100 yards below the rapid. The first tier we ran left to right through the center chute. The far left and far right also looked ok. Scout this left. The second tier was easy down the middle through a hole. At higher flows I think it may become sticky though, so scout while scouting the top move if you are unsure. Big Dog (IV+ to V-). There are some consequences in this rapid, several undercuts, a few sieves, and a nasty hole with a rock buried in it is enough to get many people to portage on the right. Don’t take the tempting chute on the right to enter as the hole feeds into a bad undercut and sieve. I entered center driving hard left to right and cleared the hole easily, straightened out to work away from the smaller undercut below and was through. The next boater got swirled while charging left to right and dropped the hole sideways, got surfed, bashed the rock buried in the hole, and flushed out out of his boat. Constriction (III+). 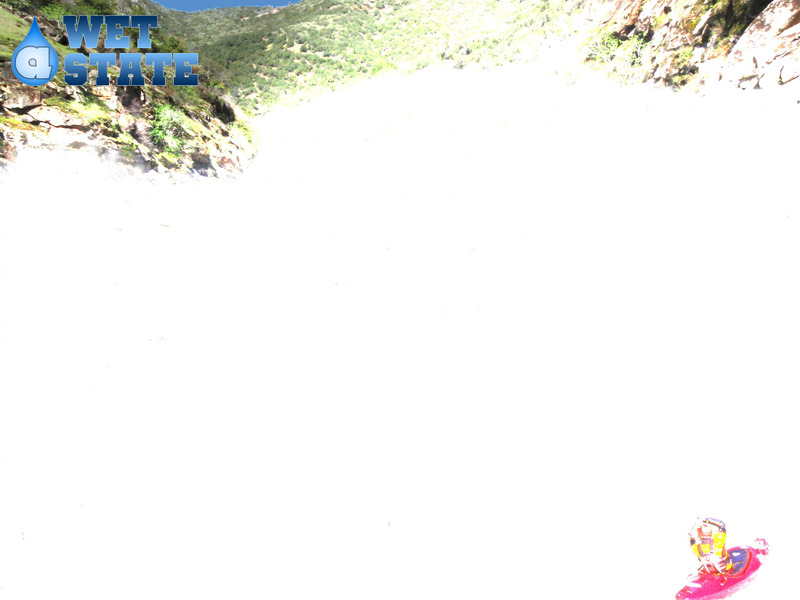 A one tiered drop, the left side is into a diagonal hole that pushes you into an eddy on the left. The right is into a good size hole. At our flows the right had a seam that looked ok so I went that way while others went left. All worked great. Scout on the left. Powerhouse Hole (III). This is probably the hardest class III that I have given class III rating. But it has one move to make, and that move is more of paddle hard and hit a spot that is as wide as one boat… if you do that, you blast between the hole and shore. If you are too far right, you will deflect off the shore and enter the hole, if you are too far left you will drop into the hole. Do it correctly and it is a breeze. There is also a sneak on the right down a blast channel. Scout on the left. 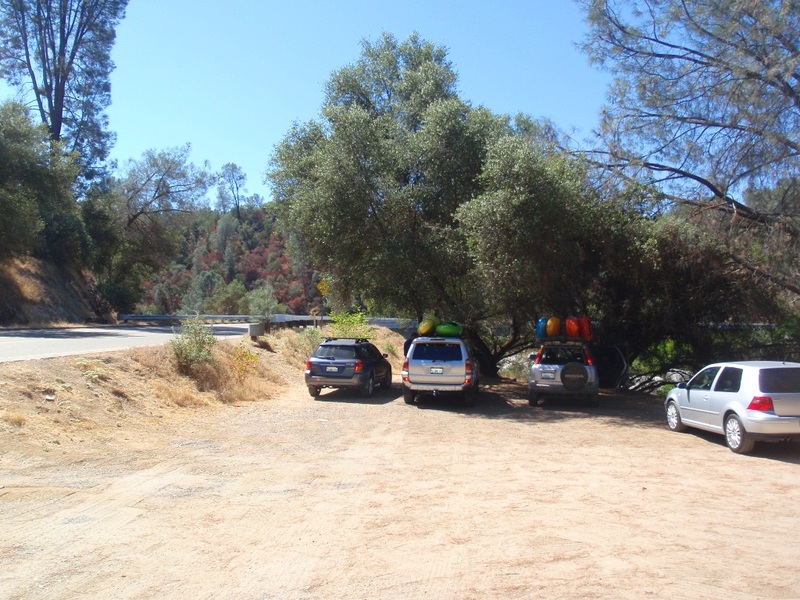 Take-out: From Sacramento, I took Highway 99 South to Madera. Take 145 east for 16 miles to Highway 41 and travel North for 8.5 miles. At the light, turn right on Rd 200 / N. Fork Rd. Follow this down 16 miles and at the larger intersection turn right on Rd 222 / Auberry Road. Follow this down 6.4 miles to the bridge over the river at the top of the reservoir.